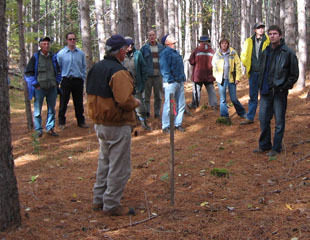 This workshop, a series of seven modules, covers a wide range of topics pertaining to private woodlot management, and specifically to managing conifer plantations. This workshop describes various definitions of the term, and outlines some of the structural and functional characteristics that characterize old-growth forests. This presentation discusses the effects of the ice on trees, focusing on residential, landscape, and street trees. 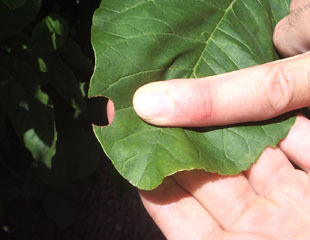 It covers clean-up and maintenance techniques to encourage recovery and growth. The three-part Invasive Species workshop breaks down invasive and exotic threats, their pathways to introduction, and the potential costs. 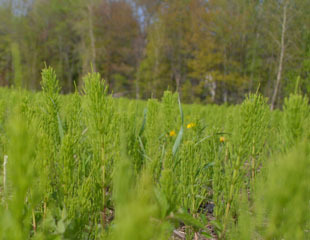 Invasive plants, insects and diseases ae addressed. This presentation gives a broad overview of the components of a lake plan, and the exercise in creating it. This workshop explains the role healthy shorelines play in the ecosystem, and what you, as a landowner, can do to make sure your shoreline is healthy and doing its job. This workshop introduces participants to aspects of quality in logs and sawn lumber that influence the market price. 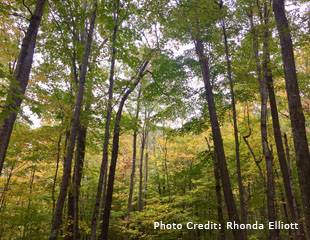 This workshop will guide forest managers, including private woodlot owners, through the issues and options associated with such a complex and far-reaching topic. The five-part School Yard Greening workshop will help you create your own school planting project by laying out the benefits, planning, surveying, species selection, and site design. Perfect for teachers, parents, or students! This seven-part workshop explores the values that species at risk represent. It discusses many of the threatened and endangered species in Ontario and reviews the legislation and programs in place for species recovery. This set of six workshop modules addresses management planning, marking and harvesting, sugar bush problems, maple orchards, and maple facts. This workshop leads participants through the various characteristics that taxonomists use to distinguish between species: terms like simple and compound leaves, opposite and alternate.